*Actual On Road Price of JAWA Forty Two at the dealership may vary. Premium Italian engineering pairs the elegance of sleek lines and graceful curves with an uncompromisingly robust design.Because engineering is only half the job - a Jawa is a work of art through and through. Jawas have always been innately rideable, a pure joy to ride on the road - and off it.With a flat torque curve, low-end torque is improved, so the riding experience is that much sweeter. The new Jawa Forty Two as it's currently called, will mark the re-entry of the Czech motorcycle brand in India, courtesy of Classic Legends Private Ltd., a subsidiary of the Mahindra Group. Currently, there is a lot of buzz around the motorcycle and it won't be an overstatement to say that the bike is one of the highly-awaited motorcycle launches for this year. 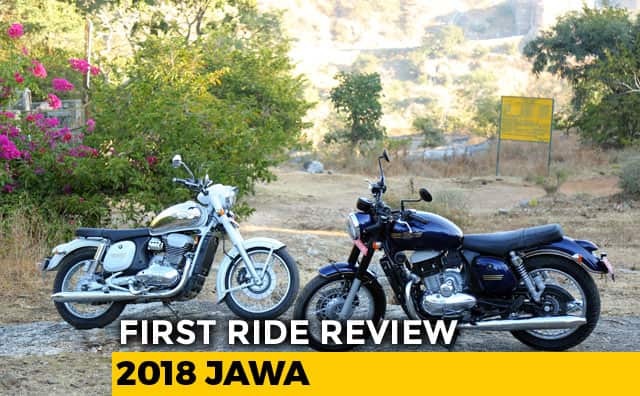 The new Jawa bikes will be sold under this company, while using Mahindra's resources including the research and development centre as well as the production facilities.